These are among the questions answered by report on biomanufacturing organizations, labelled BCMOs. The market for biopharmaceutical manufacturing is driven by many factors - an aging population, demand for more effective solutions to disease, and the expiration of blockbusters. Over the past several years, an unprecedented number of blockbuster drugs have lost patent protection, and this trend is expected to continue through the foreseeable future. Because generic medicines are priced at a discount of up to 90% of the cost of the original drug, yet are considered therapeutically identical, their growing usage represents a particularly threat to blockbuster drugs. Yet pharmaceutical companies cannot always produce their needed pipeline in-house. 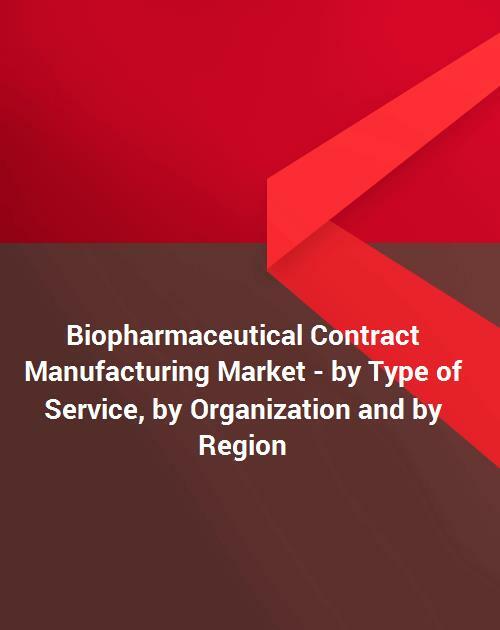 This has created an ideal market environment for biopharmaceutical contracting. This report includes extensive coverage of the biotechnology segment of the global drug development and manufacturing industry. Sales estimates for each market segment represent global revenues and are expressed in current dollars. Estimates are provided for the historic 2012 to 2017 period and forecasts are provided through 2022. Historical information for this report was gathered from a wide variety of published sources including company reports, filings, websites and presentations; government documents; legal filings; trade journals; newspapers and business press; analysts’ reports and other sources. Interviews with company representatives were conducted to capture the perspectives from industry participants’ point of view and assess trends, and form the basis of the forecasting and competitive analysis. Simply put, BCMOs focus on manufacturing. This allows drug developers to focus on their own core competencies, which often does not include manufacturing. In Contract Pharma’s 2017 survey of outsourcing practices, for example, 33% of respondents indicated that they outsourced to focus on their core competencies. A variety of factors are fuelling strong and continued increases in BCMO usage. Cost savings are also important. Drug developers, most of which are publicly traded, are experiencing strong pressure from shareholders to control expenses. Although all aspects of drug developers’ operations are subject to potential cost cutting as a means to remain competitive, manufacturing plants are a particular area for scrutiny due to the high capital investment in personnel, equipment and facilities that they require. Risk reduction is also a major strength of BCMO usage. In today’s pharmaceutical marketplace, long term production planning is becoming increasingly difficult as demand for products fluctuates. This is a direct result of a high number of patent expirations coupled with rising uncertainty about the future of new products, as some new products fail to perform despite their manufacturers’ high expectations. This has occurred with many different classes of pharmaceutical and biotech products, and has resulted in drug makers’ reluctance to invest large amounts of capital in allocating manufacturing space, especially to new and unproven products that in new market segments. Occasionally, however, drug makers run the opposite risk, namely that demand will far exceed production capability. This occurred with Immunex’s Inbrel, and alerted the industry to the impending shortfall in biomanufacturing capacity. Enbrel was first approved for the treatment of rheumatoid arthritis at the end of 1998. After 2 years on the market, the drug was so popular, that Immunex was unable to manufacture enough product to meet demand and had to introduce a waiting list for prospective patients. Contract manufacturing, where the BCMO has the flexibility to scale up production, can also address this production risk. As product lines shift, so do their manufacturers’ production requirements. For example, in the 1980s and 1990s, most medications were formulated in a solid dosage (tablet or capsule) that was taken two or three times per day. This required very large production volumes and big pharma therefore scaled up their solid dosing manufacturing lines at significant expense. New technologies, however, have enabled the development of other formulations (inhaled, transdermal, liquid, etc.) as well as controlled release and extended release solid doses that need be taken just once daily. Batch sizes are considerably smaller, and based on flexible processes. This has significantly reduced the need for high volume solid dosage production among big pharma, but at the same time, it has increased this need among the smaller pharmaceutical companies that are acquiring mature, multiple dosage solid products from these companies and the generics manufacturers that are launching generic equivalents. As the products offered by these latter two groups of players will eventually also be replaced by reduced dosage equivalents, these companies are either reluctant or unable to invest large sums in solid dosage production and therefore turn to BCMOs to meet this need. Production of certain specialized products may also be established more quickly with a BCMO than with in-house resources. For example, more potent, low-dose products often have to be specially prepared in dedicated manufacturing facilities. Because of the danger of cross-contamination between facilities, dedicated production plant or time-consuming sterilization and decontamination procedures between production runs of different products are necessary to the production process. Outsourcing production to an external manufacturer can help reduce this lead time as the contractor may have access to suitable facilities and can quickly adapt them to the sponsor’s product. However, sponsors must often devote significant time to establishing and managing relationships with BCMOs. Because the market for third party manufacturing is still very fragmented, relatively few companies are capable of taking over a large portion of the manufacturing process, so complex deal structures are typically required that involve several different players. Because of this, the coordination of the numerous processes and parties involved requires significant time and expertise on the part of sponsoring companies. Therefore, while the greatest value from manufacturing outsourcing typically comes from when the external manufacturer is utilized during the early stages of a product’s development, this benefit may quickly erode as the product is commercialized if the sponsor is not able to structure and maintain appropriate relationships. Furthermore, drug developers with more limited resources gain access to specialized expertise by using BCMOs. For example, processes such as manufacturing validation, process development and regulatory compliance often require considerable expertise and start-up companies are unlikely to be familiar with these areas. Some BCMOs focus on niche areas - Baxter BioPharma Solutions contract manufactures premixed parenteral drugs in flexible plastic containers and has become a specialist in frozen premixed drug products; this is a process that requires sophisticated controls on temperature, processing times, component addition sequences and additional rates which most sponsors do not possess in-house. BCMOs can therefore fill critical gaps in sponsors’ capabilities; their personnel can also provide sponsors with learning opportunities that help build internal expertise. This can be particularly beneficial from a regulatory perspective. As manufacturing specialists, BCMOs diligently work to meet regulatory requirements and ensure product compliance. This is important, since regulators tend to frown upon “testing in quality”, or establishing quality in terms of the final product only; rather, the manufacturer must demonstrate that all of the materials and media sued in the production process were free of contaminants and that no infectious agents were introduced into the product during manufacture. BCMOs also tend to keep abreast of newer regulatory initiatives, such as Process Analytical Technology (PAT). This requires in-process testing conducted while a product is being produced. Although many believe that PAT will ultimately reduce cycle times and improve product performance and compliance, it nonetheless represents an extremely high capital investment to install in-process equipment sensors, systems and automated analytical equipment that is prohibitively large for smaller manufacturers. These and other strengths have resulted in BCMOs now being well established in the production of active pharmaceutical ingredients (APIs). In Contract Pharma’s 2017 survey of outsourcing practices, for example, almost half of respondents indicated that they currently outsource production of APIs.